Are you suffering from feelings of being held down at night? Or you may have vivid and realistic encounters with strange creatures, ghosts or monsters who seem to enjoy tormenting you by sitting on your chest and holding you down. Millions of people experience sleep paralysis out of the blue. If you’ve ever lost sleep, or kept the light on all night to prevent another attack, then it’s time to take action. Your “demons” can be tamed. In fact, this sleep symptom can often be quickly and easily dissolved. My name is Ryan Hurd; I’m a dream researcher and author of the Sleep Paralysis: A Guide to Hypnagogic Visions and Visitors of the Night Although sleep paralysis can be terrifying, it is a normal dream state that is safe and natural. I say this as not only an expert, but as someone who suffered from sleep paralysis myself since I was 14 years old. Unfortunately, many sources about sleep paralysis on the web are full of outlandish claims about aliens and hidden dimensions. Others use a heavy-handed religious approach. The lack of reliable information about sleep paralysis and its related nightmares is what prompted me to take action, dispelling myths and providing hope that there’s way out. What can modern science say about this problem without turning away from the shockingly real experiences that happen at night? What can these hallucinations mean, and how can I feel safe again? How can I quickly learn how to prevent sleep paralysis from coming back? What can I do to wake up from sleep paralysis whenever I want? My book Sleep Paralysis: A Guide to Hypnagogic Visions and Visitors of the Night leads readers through the fear of sleep paralysis nightmares, and teaches how to safely explore the extraordinary dream realms that can come from this profound dream state once you learn to control for fear. Sleep Paralysis is also the first focused study ever published on how to deal with the the creepy night visitors that often accompany sleep paralysis in the form of ghosts, demons, and horrific monsters. Stop suffering from sleep paralysis tonight. Sufferers from repetitive isolated sleep paralysis or periodic isolated sleep paralysis. Lucid dreamers seeking a reliable entryway into new levels of consciousness. People who suffer sleep paralysis inevitably focus on their fear and discomfort, but rarely do they recognize that this strange experience also holds a huge potential for mind/body growth and enlightenment. Ryan Hurd, a brilliant researcher and emerging leader in the field of dream studies, offers a brand new perspective on sleep paralysis that provides both practical help and inspirational guidance. It’s good to be skeptical when looking for sleep paralysis advice. In Sleep Paralysis, I review and explain all the latest scientific theories about sleep paralysis and its terrifying nightmare visions. You will not only understand how these terrifying visions form, but learn how to apply concrete practices to cope with and transform sleep paralysis into remarkable journeys of the mind and spirit. 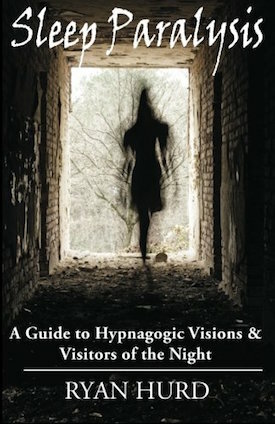 In writing Sleep Paralysis: A Guide to Hypnagogic Visions and Visitors of the Night , Ryan Hurd has compiled, in a clear and succinct style, a vast compendium of much needed practical information about Isolated Sleep Paralysis (SP). 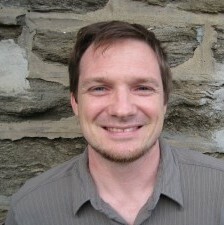 Ryan, an experiencer and researcher of the phenomenon, brings clarity to often contradictory information. Of particular importance, and something missing in the work of others (even my own), is his focus on the spiritual aspects of SP. *DISCLAIMER: I am not a medical doctor. Isolated sleep paralysis is a harmless parasoma when it is not accompanied by the symptoms of narcolepsy or sleep apnea. These symptoms include daytime sleepiness, falling asleep suddenly at inappropriate times, severe insomnia, difficulty breathing during the night (not just during the paralysis experience), and sudden feelings of paralysis during the day. If you have these symptoms, you may have a sleep disorder, and it’s recommended to see a sleep specialist as soon as possible.